Home » Politics » Goa political crisis: Is BJP-led government heading towards collapse? Goa political crisis: Is BJP-led government heading towards collapse? Goa has been thrown into political crisis as the state’s chief minister Manohar Parrikar has been ailing for the past some months. 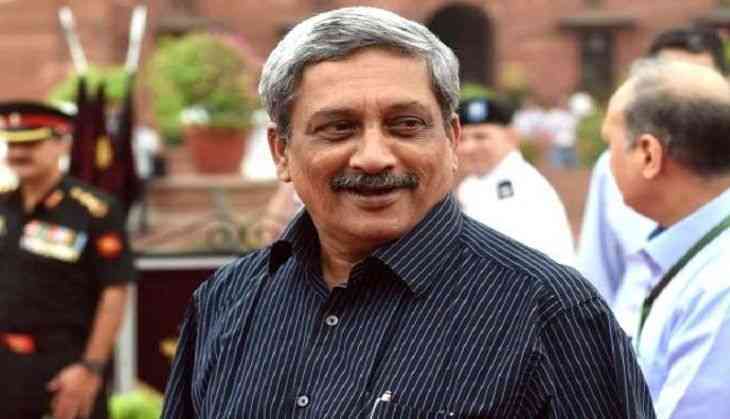 Parrikar, who was the Union Defence Minister before becoming the chief minister of the state, was sent back by the BJP top brass to Goa to form the government in the state despite gaining less seats than the Congress in the last assembly elections. Parrikar did it and formed the government taking support from other political parties – Goa Forward Party (GFP) and Maharashtrawadi Gomantak Party (MGP) - and Independent MLAs. Out of 40 MLAs, BJP has 13, GFP and MGP have 3 each and there are 3 Independents while the Congress has 16 MLAs. One of the primary reasons for which GFP, MGP and Independent MLAs supported the BJP to form the government was Parrikar himself. That’s why, he was sent back to the state to get the BJP government formed. Now, as 62-year-old Parrikar has been undergoing a prolonged treatment for a pancreatic ailment and is not able to discharge his constitutional duties; the threat to the existence of the BJP government is looming large. The allies of the BJP are not ready to accept any other BJP leader as the chief minister and also forcing the saffron party to come up with a permanent solution to the current impasse. At the another hand, the Congress which has 16 MLAs, needs 5 MLAs to gain simple majority, has already met the governor Maridula Sinha to stake a claim to form the government. However, after a meeting held between BJP’s central representatives with its allies in the Goa government, the party rejected to replace ailing Parrikar with any other leader as the chief minister. It is not clear yet that how long this impasse will continue to exist. There is a discontent in regard to prevailing political situation in the state among BJP leaders too. “The situation continues to be fragile in the state. Parrikar is indisposed and he may require prolonged hospitalisation. It’s not easy to find his replacement since allies aren’t amenable to accept anyone from within the party in the chief minister’s chair,” a senior BJP functionary was quoted by the New Indian Express as saying. The possible situation that may prevail on the political landscape of the state may be like Karnataka. The Congress had formed the government there by giving the chief ministership to the JD(S) despite the BJP was the largest party in Karnataka assembly elections. Here in Goa, the Congress may repeat its Karnataka strategy to form the government. If Congress’s Karnataka strategy works here successfully, the allies of the BJP may switch to the Congress and the BJP-led government will collapse.